Over forty years ago, two men changed history forever as they entered Apollo 11 and journeyed to the moon. On July 20, 1969, Neil Armstrong and Buzz Aldrin arrived at their destination and became the first people to walk on the moon. Most of us remember the iconic photo of these men standing on the moon, the U.S. flag stuck in the ground nearby. Some of us even remember the names of these men. However, most of us are probably unaware of one interesting fact about their mission. 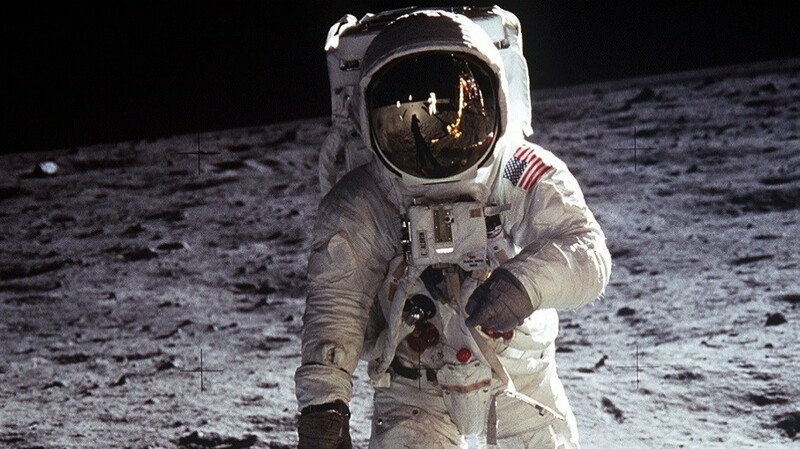 During a moment of silence before setting foot on the moon, Buzz Aldrin took Communion. During this period of his life, Aldrin was an elder at a Presbyterian church in Texas and, knowing he was about to do something unprecedented in human history, he felt it appropriate to mark the occasion. Aldrin worked with his pastor and decided to take a Communion wafer and a small vial of Communion wine to mark this tremendous event. Upon Apollo 11's arrival on the moon, Aldrin made this statement over radio communication: "This is the LM pilot. I'd like to take this opportunity to ask every person listening in, whoever and wherever they may be, to pause for a moment and contemplate the events of the past few hours and to give thanks in his or her own way." It was during this time that he privately took Communion, gave thanks, and read from the gospel of John. Aldrin stated, "In the radio blackout, I opened the little plastic packages which contained the bread and the wine. I poured the wine into the chalice our church had given me. In the one-sixth gravity of the moon, the wine slowly curled and gracefully came up the side of the cup. Then I read the Scripture, 'I am the vine, you are the branches. Whosoever abides in Me will bring forth much fruit. Apart from Me you can do nothing.'" What a beautiful way Aldrin chose to commemorate the occasion. Though this was over forty years ago, the truth of what he did and the truth of the Scripture he read still stand true. God is the same yesterday, today, and forever. He does not change. Jesus spoke to us about the importance of Communion and why each of us as believers are commanded to observe it. Even Jesus chose to take Communion with His disciples before He was crucified. He, too, commemorated an awesome event that changed the course of the world. He became sin and took on the sin of the entire human race that we might have life through this death. What obedience. What selflessness. Let us be women who choose to commemorate occasions in our lives, whether great or small, so that we, too, remember the Lord. It is to His glory that anything good happens to us, for, as Aldrin reminded us, without Him we can do nothing. Take Communion to remember Him and His body that was given for us (see Luke 22:19). Regularly share Communion with those in the household of faith (see Acts 2:42). Take the bread from your cupboard and the juice from your fridge. These, too, can be used to enjoy Communion with your family in your home. Remind your children of the Lord. Father, may we be women who follow in Your footsteps, who do what You say by regularly taking Communion to remember Your sacrifice for us. Help us to remember Your blood that was shed and Your body that was given that we might have life and never have to face the death You died. Let us celebrate with other believers and in our own homes for the glory and honor of Your name. Thank You for Your sacrifice. Amen. 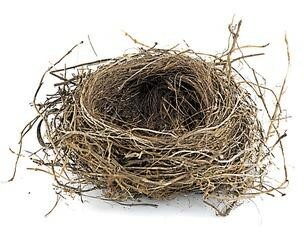 Empty Nesting: Blessing or a Curse?